Since the inceptions of smartphones, their sizes started to get bigger and bigger every year. Today, we have reached a point that most of the brands have stopped offering handsets bigger than 6-inch with few exception. Because for the most part, it doesn’t make sense to carry a smartphone in your pocket that hardly fits in one. That’s exactly what I thought our readers might think. But for a couple of minutes, just forget those unpleasant experiences that you have encountered or heard about large sized phones being uncomfortable to hold and see this new handset with a fresh perspective. That’s what we did because it was the only thing that stopped us going all Mike Tyson on this new handset from Xiaomi. Boy oh boy! Did this handset surprise us in certain fields? Well, it did, and we kind of liked it. But had to accept its vulnerabilities too, because no smartphone is perfect. 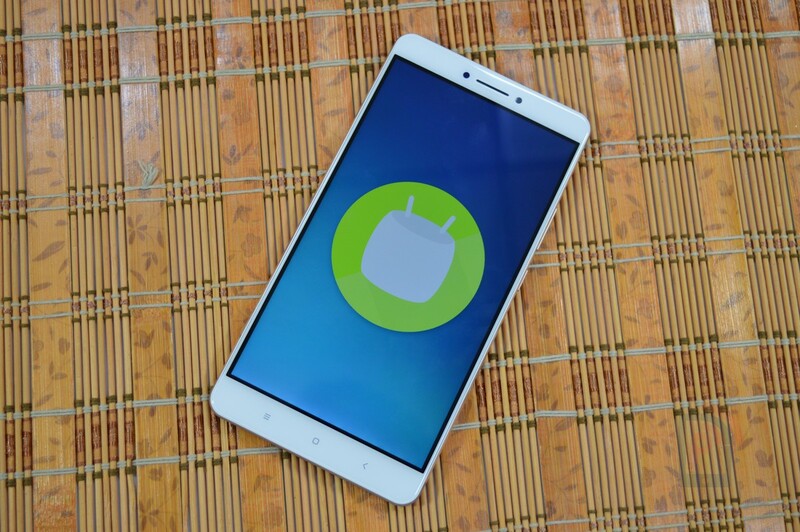 Today, the Chinese brand has released what is their biggest sized handset ever, the Xiaomi Mi Max. We have been using this handset as our daily driver since quite a time now, and it’s time to share our feedback in this review of the Mi Max. Let’s get started. Xiaomi has entered a territory where many smartphone brands fear or have failed in the past times. With Mi Max Company has launched their longest and heaviest smartphone yet at 173mm and 203 grams. At those measurements, any device you compared in the mid-range would be smaller than this and people relatively prefer average sized handset. Where average measurement being at 5.5-inch. Though, despite its large size, almost 1-inch bigger than average sized phablets, the device seems to be pretty comfortable to hold and most of all fit in one hand. All thanks to tiny edges and 7.5 mm thickness, which not only make it easy to hold but also to reach another end of the screen using single-handedly. Although, I wouldn’t recommend that, because the device might fall and moreover, it doesn’t have a sturdy design, as the back feels shallow. It vibrates when you tap fingers on it continuously. Overall, I would that company has done pretty incredible job design their largest sized handset. But I do question the reliability of the body in longer as we don’t use devices for more than a month or so, which is a quite stretch as well. The important fact about design is that it fits in your front pockets easily unless you’re wearing pants with smaller than usual pockets. The real estate is the USP of this device as it packs a 6.44-inch IPS panel having a pixel density of 344 PPI (Pixel Per Inch) at 1080p resolution. This extra large screen will easily woo consumers who like to watch videos on their smartphones. Users get to watch their favorite content on a much larger screen then they are used too. While transitioning from OnePlus 3 to Mi Max was a challenge for me, but I was able to part away with the feeling once I got used to the idea that it’s not a regular phone. So, I stopped turning those failed attempts to use it single-handedly. The display looks pretty good in day and night. I’m especially a fan of Read mode, which makes my conscious mind use the handset on the bed before sleeping. Without worrying about any consequences of sleep deprivation as it doesn’t emit blue lit when the read mode is ON. Moreover, the extra large screen is more helpful when I don’t necessarily want to hold it in front of my face. As the viewing angles are pretty good, so content is visible from any angle as so with large size screen. Though, I should warn you about the sunlight legibility on this screen as might struggle to see content under bright sunlight. We didn’t anticipate that Xiaomi would even offer a Corning Gorilla Glass 4 and a 2.5D curve screen as they sum up the USP of the device. Software interface matters a lot when it comes to experiences, and that’s why brands such as Xiaomi have a keen interest with MIUI custom ROM. Over the years company has created a user base of more than 200 Million MIUI users. In India, the company has a great community of MIUI users, even the non-Xiaomi phones as claimed. The MIUI that we see on our review unit has a 7.5 stable version installed, while company promises to deliver MIUI 8 that is already available in China. While I really would have liked to try MIUI 8 experience, I’m stuck with MIUI 7.5. Note that the current ROM that I’m using is based on Android 6.0.1 Marshmallow. There won’t be any difference in MIUI 8 in terms of Android OS version apart from the interesting UI changes that company has touted at their launch event in India and China. Some changes that you might see when upgrade to MIUI 8 includes new kind of multi tasking, suspension floating button and two micro-channels. I really like the idea of support for using two WeChat accounts, or any two separate accounts with the support of two micro-channels. The brand has touted it in China, although, we don’t know if it will be coming to Indian model as well. Overall, I felt it offer good user experience with not much bloatware to worry about than usual. The Mi Max was launched with three variants in China, 3GB/32GB, 3GB/64GB, and 4GB/128GB. We have got our hands on with the 3GB RAM and 32GB internal storage model, which is powered by a Qualcomm Snapdragon 650 chipset. 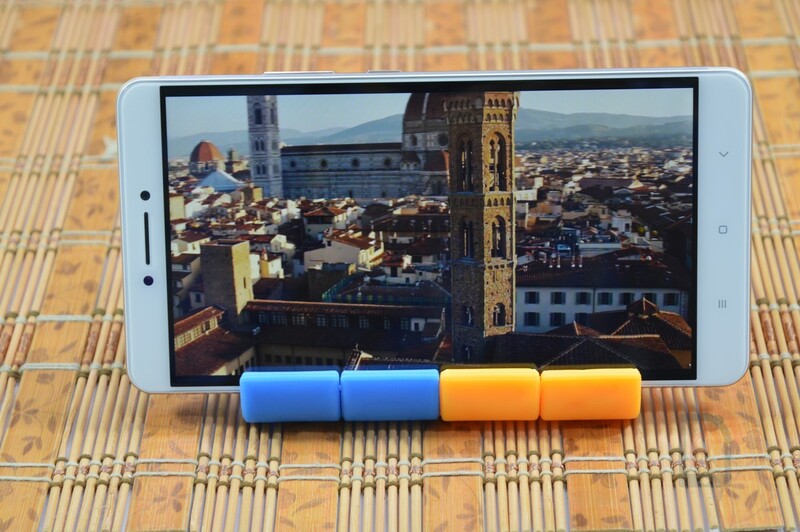 It is a Hexa-core chipset that was first introduced on Redmi Note 3 earlier this year. It is clocking at 1.4GHz according to the CPU-Z application, while it should be reportedly clocking at 1.8GHz. Sporting six cores, the SoC 650 is manufactured on 28 nm process. The RAM management needs work as most of the time, even without any apps running in the background, we noticed only 1.4GB of RAM was available for use. Talking about the available storage, it was around 22GB, which is good enough; moreover, you could always expand storage via microSD card slot that supports up to 128GB storage. 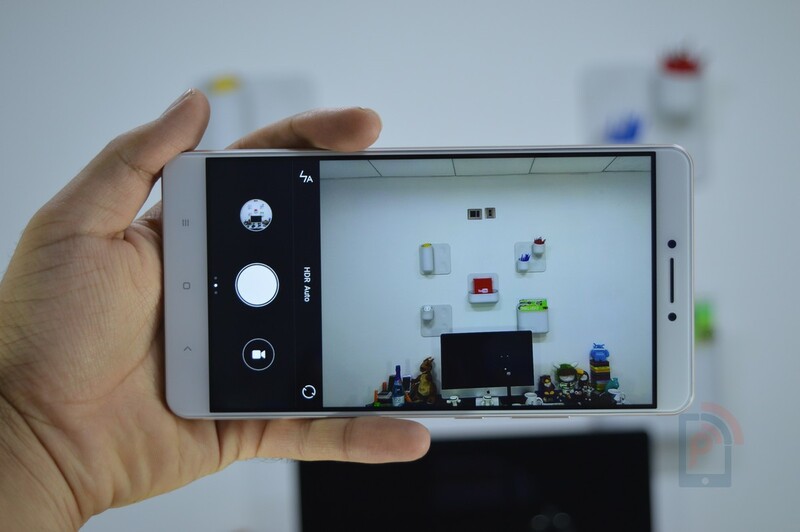 We have had good performance experience on Redmi Note 3, and this wasn’t any different. You can play games without worrying about lags at all as well as multitasking. The device doesn’t heat much to make it your concern. The fingerprint sensor on the back is quite fast, and the probability of it scanning out of ten is solid nine. The device sports a 16MP rear camera module that comes with a dual-tone LED Flash and is supported by PDAF (Phase Detection Autofocus) technology. The module has an aperture number of f/2.0. The rear camera on the Mi Max seems to be strikingly similar to Redmi Note 3 when it comes to pixel count, AF technology, aperture number and Flash type. As camera hardware setup is exactly same. Though, I would argue that focusing on this handset seems to be on the lower end. Meaning the rear module takes a lot of time to focus on an object, moreover, when it does, it ends up taking grainy close-up shots. We took the camera for a spin in the natural, artificial and low light. We were satisfied with the shots in natural light, while in artificial and low light weren’t as we expected considering the same module is on Redmi Note 3, which yielded good outputs in those conditions. The camera app is pretty similar like most of the Xiaomi handsets; you get clean, intuitive UI with lots of modes to experiment your photography skills. In terms of video recording, while it offers 4K video content, the output doesn’t feel crisp as it should be at such high resolution. You can clearly see noise in the video. The front module offered good output in all lighting conditions. You can surely take a selfie with this phone at the family dinner table and expect it to come out good as well as fit lots of faces with a wide-angle lens. The Battery capacity on this extra-large smartphone is 4850 mAh, which is 850 mAh extra than Redmi Note 3 and possibly larger than most of the competition. Though, we felt if a user is purchasing such handset for video consumption then, they would expect it to last longer than most handsets with similar battery capacity. I wouldn’t say the battery life is amazing, but it definitely isn’t bad either. You can’t get a day’s charge on heavy usage including browsing YouTube on a 4G internet connection with hotspot running. If you’re not planning to do lots of video watching online, then it’s not worth your money. Despite the fast charging support on the processor, the company hasn’t offered Quick Charge 3.0 adaptor in the box. So, charging would take time. Unless company offers 3.0 adaptor, it’s pointless to think about it. With Mi Max Xiaomi taps a market which is not clearly explored and that is one of the advantages of the device. While I wouldn’t say it’s a perfect device in the arena of the extra-large screen, but it is as close to perfection any company has come for an over-sized device segment. One of the competitions that it will face include Lenovo’s Phab Plus, which is aggressively priced at Rs 11,999. But then Lenovo never gets the user experience right on their handsets. So, I’ll suggest buying Xiaomi Mi Max if you’re considering to use extra-large screen smartphone as your daily driver.